Ontario manufacturers are responsible for designing products that, when operated as intended, are safe to use. 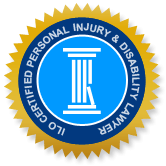 When a product is approved for public use but is later shown to cause harm, either by poor design, defectiveness, or lack of sufficient warning, the injured person has the right to file a product liability claim through a personal injury lawyer. Product liability is an area of the law that seeks compensation for those brought to injury by defective products. The attorneys at Injury Lawyers of Ontario (ILO) handle claims related to product liability in Cornwall and across Ontario, helping victims navigate the complicated course of legalities, insurance processes, and corporate responsibility protocols to ensure that the injured parties receive the full compensation entitled to them. Injuries sustained from defective products occupy a wide range, and the lawyers at ILO have seen all kinds of scenarios: defective fuses in home appliances that cause fires; unreported recalls on motor vehicles that lead to life-threatening crashes; devastating mesothelioma diagnoses due to asbestos in buildings; overheating smartphones. Several women who received trans-vaginal or bladder mesh implants following feminine surgeries filed lawsuits when the plastic product caused them debilitating pain and irreparable damage to their internal organs. A man washing a Dutch oven suffered a severely lacerated wrist when the appliance unexpectedly broke into four pieces. The injured man received compensation of nearly $1 million on grounds that the manufacturing company did not adequately warn customers of the product’s propensity to break. A woman suffered a burn from a defective hand dryer. In addition to severe pain in her hand that complicated her ability to work, she was found to have resulting psychological injury. The woman and her dependents were collectively awarded over $40,000 in compensation. Those who have been recently injured should not hesitate to contact our ILO office via phone or our confidential online form. We are committed to helping you recover and will bring our services to you if you are unable to visit our office in person.